Whether aliens exist or not, the Air Force may have once tried to reach them. The National Archives published parts of recently declassified records from the Aeronautical Systems Division in a document titled, “USAF Project 1794.” Dated in 1956, this document shows the Air Force’s goal to build a supersonic flying … something. 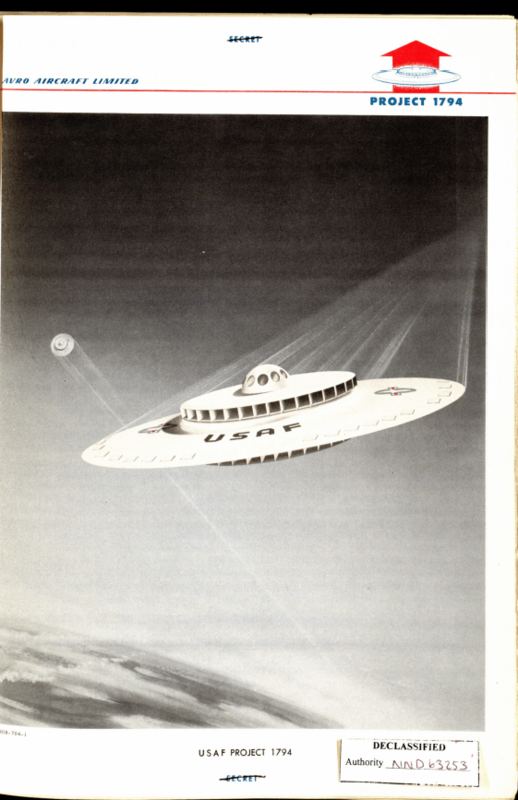 According to the National Archives blog, the Air Force had contracted the work out to a Canadian company, Avro Aircraft Ltd. in Ontario, to construct the disk-shaped craft. The “saucer” was designed to be a vertical take-off and landing plane designed to reach a top speed of Mach 4, with a ceiling of over 100,000 feet, and a range of over 1,000 nautical miles, according to the report. While the aircraft awaited additional testing, the Final Development Summary report stated that supersonic testing “[showed]that the calculated thrust potential with the present design will provide a much superior performance to that estimated at the start of contract negotiations …” So did this project have promise? It could have been the cost that nipped it in the bud — the cost for the prototype was estimated at $3,168,000, which would roughly be $26.6 million today. Even so, if this prototype was made public in the 1950s, Orson Welles’ radio drama adaptation of “War of the Worlds” would have seemed as a light-hearted comedy next to Project 1794. Yeah but the Aliens beat you to it and they travel a lot quicker than Mach 4. The little Grey asked me to give you IDIOTS a message, but you can’t handle the truth. So I’ll wait until you grow up.